At the start of every academic year since 2003, the Grands Ateliers have launched a call for projects aimed at sixty or so higher education institutions specialising in art, design and architecture in France and elsewhere in Europe. 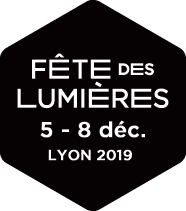 Out of about a hundred projects examined by experts from the Grands Ateliers and the team at the Festival of Lights, fifteen are selected for the experimental trail as part of the festival. There is no specific unifying theme: the characteristics of these student projects range far and wide – poetry, the unexpected, site suitability, feasibility criteria, economy of means and sustainable development. And all these constraints encourage the inventiveness and creativity of the young artists.